Biofine treatment makes clarifying beer quick and easy, significantly improves chill haze stability, and can also improve head retention in some beers. 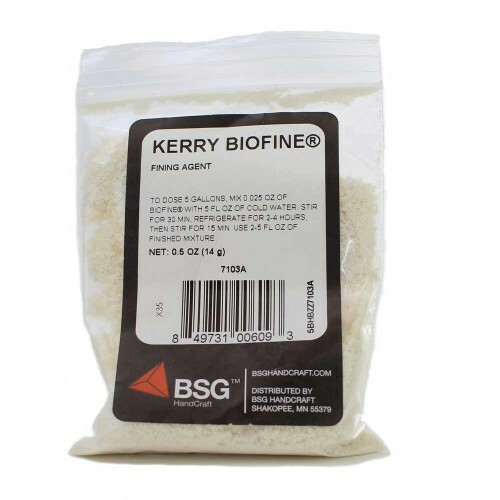 Biofine is a powdered preparation of purified isinglass, isolated from the swim bladders of tropical fish. At the pH of beer, the collagen of Biofine has a positive charge which reacts with the negatively charged yeast cells and suspended solids, prompting flocculation. This accelerates the sedimentation process and produces a more compact, clearly delineated sedimentary layer at the bottom of the beer. The collagen binds with the yeast and other colloidal material in the beer, and is removed with the sediment. It does not remain in the beer. 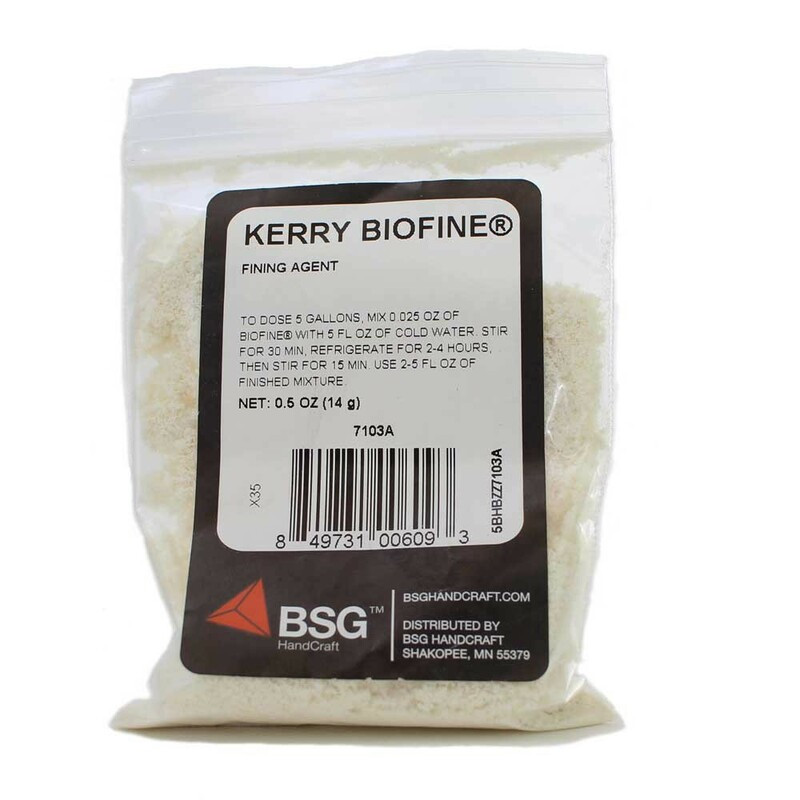 Biofine treatment makes clarifying beer quick and easy, significantly improves chill haze stability, and can also improve head retention in some beers.